The story of the Jewish role in world conspiracy can't possibly be told in a single article or book. It extends over thousands of years and is labyrinthine. Many authors have attempted to lay bear the facts as they see them, and a significant number emphatically condemn Jews for secretly orchestrating worldwide chaos. Writers and researchers such as Nesta Webster, Lady Queensborough, Leon de Poncins, Arnold Leese, Douglas Reed, Eustace Mullins, Lincoln Rockwell, David Duke, Ted Pike, David Icke, William Pierce, Texe Marrs, C. J. Bjerknes, Deanna Springola, David Irving, and others, are convinced that a great many of the conspiracies that plaguing our planet are part of an overarching nefarious Jewish super-conspiracy. These authors reveal many dirty episodes in Jewish history, and cite passages from the Old Testament, Talmud and Protocols of the Elders of Zion, etc, to reinforce their indictments of Jews. Actually, there can be little doubt that Jews have frequently been disproportionately energetic fomenters of and participants in subversive plots. But why is this the case? How is it rationally explained? Why would anyone- especially those raised under strict moral codes of behavior (far more explicit and inviolable than those known to Christians) - commit evil acts against other races, foment or participate in assassinations, mass murder, anarchy, socialism and general mayhem? The commandment "Thou Shalt Not Kill," comes from Mosaic Law obeyed by Jews centuries before the advent of Christianity. The absolute necessity of living a scrupulously moral life in order to please God and reach heaven is essential in Judaism not Christianity. And if Jews are compulsively interested in undermining western culture, why do so many of them seek its benefits? Why have so many Jews been helpful and friendly toward Gentiles? Why have so many contributed to western culture in invaluable ways and in so many fields - music, art, comedy, literature, history, religion, law, healthcare, psychology, film-making, drama and media, etc? For all the research out there, we are left with many puzzling questions about the Jewish role in the criminal history of the world. When we read most anti-Jewish researchers, can we verify everything they report? Are their accusations accurate, or are there more plausible explanations for the Jewish penchant for subversion? While such questions are pondered, we remain aware of some essential points and facts. The first point concerns the very term Jew. It's not a straightforward matter discerning what the word truly denotes in regards race. Is it related to the patronym Judah and synonymous with Israelite, Hebrew and Levite? Does anything change if the "J" is replaced by "Y" or "I?" What is the origin of the term, and has it been used to denote different people from those using the appellation today? Can it be traced to an earlier time and more antique non-Semitic people? The first usage of the word Jew (in the traditional accepted sense) occurs in the Book of Esther in the Old Testament. The central protagonist of the book, the Benjaminite Mordecai, is described as a "Jew." Some researchers hold that the term was not used in this form until much later, and that it was not until 1860 when Jews referred to themselves by this appellation. If this be true, it wouldn't be the first time later translators interpolated a word or name into a text that had no legitimate place there. There are hundreds of examples of this chicanery, some of it deliberately deceptive. Biblicists and historians refer to it as "pious fraud." The Tribe of Judah was the rival of the Kingdom of Israel, comprised of 10 tribes. Judah had its own kings, priests and rules, and was actually comprised of two tribes - Judah and Benjamin. I explain the importance of the Tribe of Benjamin in Article II. The Menorah. Or is it A-MEN-RA? Judah's formation created a schism between the 12 tribes, so from the commencement of Jewish history the two tribes of Judah operated rebelliously and defiantly. It doesn't bode well for those calling themselves Jews, and tells us to not automatically associate Jews with Israelites, a common error. Each group has its own distinct history, part of which is disclosed in the Old Testament. However, do we take it that the Judites worshiped the same god as the Israelites? What if this is not the case? Would it help clear away some puzzles about Jewish history? And what if the so-called Israelites didn't worship Jehovah, but some earlier deity? What if those bearing the appellation Israelite were actually high-born nobles of Egypt, worshiping deities well known in that land? What if they worshiped female deities? Does this explain anything? Of course, all this ancient history doesn't prove that people later known as Jews were in any way related to the Biblical Judeans or Judites, especially if the latter were in fact Egyptians. Nevertheless, given that the Judites and Benjaminites were arrogant and defiant, why would anyone openly admit being related to them? One would be more eager to be related to the greater House of Israel, allegedly located in the northern territories of the land of Israel. In any case, just because a person of later times decides to convert to the religion of Judaism, it does not mean he is biologically related to ancient Judites or Israelites. He adopts the patronym Jew even when he is not of the Jewish race. Regrettably this is not a matter we can explore further here. A second crucial and more controversial concern is what if Jews are not actually the chief movers and shakers in the world's conspiratorial societies. This is not an idea welcomed by anti-Semitic researchers who rarely if ever look to other obvious suspects - the Jesuits, Red Papacy, Masons, Templars, Black Venetians or Dragon Sisterhood (Female Illuminati), etc. Naturally, servants of evil aren't exonerated or forgiven, but the fact remains - they are servants rather than the architects of the universal conspiratorial network. They may be the unicorns, but they are not royal lions. Throughout history clever Jewish families and individuals have served Moors and Ottoman Turks, Papacy and Black Venetians, Guelphs and Austro-Hungarians, Bolsheviks and Socialists, and most importantly the Templar-Masonic cabal, although in this last case, as we'll see, there's a peculiar and vitally important twist involved. So as I point out time and again, we must accept that many of the more obvious conspiratorial entities known to us are in fact lower agencies working at the behest of more elusive superiors. In my work I address this architecture of evil and the malignant hierarchy by which evil makes itself manifest. I focus on the "principalities in high places," and the methods used by sorcerers and archons to execute secret malign designs. Although a significant body of research reveals that certain Jewish families and individuals have served as effective agents of hidden superiors, few writers delve into the reasons why Jews have acted so. It is usually taken for granted that the Jew is a malignant presence through and through, and that it is his nature to commit evil acts and serve evil-doers. But what if this isn't wholly true? After all, without Jews neither Christianity nor Capitalism as we know them would exist. Our concepts of individualism, freedom, nationalism and ethics would be barely formed. Another important fact concerns the relatively small number of Jews that exist in any western nation. For all their considerable influence, Jews make up a minute demographic in any European town or city. Additionally, we must always weigh the positive influence of Jews against the accusation of detractors and anti-Semites. We must always consider who accuses, and what their reasons may be. After all, don't Jews have enemies? And might these enemies not stoop quite low in their campaigns of defamation to lead attention away from other guilty perpetrators? Are the accusers Moslems, Christians, atheists, conservatives or liberals? How much of what they say is simply biased and how much is substantiated by hard evidence? Furthermore, when we read works exposing the "Jewish Conspiracy" we don't often find accurate accounts of Jewish history. Despite the conspicuous morality of Old Testament prophets and elders, we find detractors condemning the entire Jewish race for the crimes and misdemeanors of a few renegade or demented Jews. We must ask if this is right. Is it right and sensible to lay the blame for the assassinations of Tzar Nicholas II and his family at the doors of all Jews? If so, then we must also blame the "Bloody Sunday" massacre (in Londonderry Ireland) on all Englishmen, and the Saint Valentine's Day Massacre on all Italians. Given that some Jews undermined countries through stock market manipulation, given that they played a significant role in undermining certain nations (such as Tzarist Russia), and that some of their race have been exposed as adroit fifth-columnists and agent provocateurs, have we noted that the foremost impetus for this was the obsessive, sometimes rabid quest among Zionist-Jews for the establishment of their so-called "Promised Land" - the State of Israel? With this crucial fact in mind, can we make a case for the continuation of Jewish intrigue after Israel was established? Personally, I don't think so, not for the majority of Jews. I think the Jewish role in world conspiracy significantly melted away after 1948. This is not to say it has abated completely. But things have dramatically changed, and few if any anti-Semitic writers concede this fact. Actually it makes better sense to see bone fide Zionist and Ne0-Conservative Jews as friends and supporters of western culture, after western leaders came through for them, providing what they sought in vain for centuries. What remains of a Jewish conspiracy is now largely focused on protecting the State of Israel from external enemies. There can be little doubt that the foremost enemy of Jews today is Islam. It is also the lethal combine of Islam and Communism, a demonic hybrid rarely if ever discussed by conspiracy theorists. Indeed Islamo-Communism threatens the entire western world, not just the tiny State of Israel. Recent gargantuan levels of immigration are not orchestrated by Jewish interests. Any Jew involved is more than likely an Atheist-Communist, not a Jew in the true sense of the word, and are therefore enemies of Jews and Gentiles alike. Clearly, although they were minorities, some Jews made it to the top in countries such as Turkey, Iraq and Syria. Does this in itself mean they all served evil? Does it mean they are to be resented for their successes? Would it not be more logical to assume that as a vulnerable and oft persecuted group, Jews learned to act in less than commendable ways to protect themselves and simply survive under difficult situations. Given that this is the case, was their behavior different from any other small group in the same situation? Are Jews the only vulnerable people to act in unethical ways when attempting to survive? Acting immorally when impossibly dire circumstances press down does not mean one is evil at heart. The condemnation of others taking a higher moral stance is therefore myopic and irrational. And if one finds themselves needing to urgently receive humane treatment from the leaders of a host nation or area, or from one's hostile prejudiced neighbors, might one not be compelled to secure favor by, for instance, lending money to those able to reciprocate by changing laws, lifting bans and offering opportunities for advancement? Might one not be justified in committing less significant immoral acts to secure greater ends for oneself and one's people? Such behavior is universal. There are hundreds of instances of this among all sorts of groups. The Jews are not unique in this regard. We all do it. Obviously, the sane person realizes that within any group or society, evil people lurk and conspire. There are innumerable Catholics who sin - committing fraud, adultery, abortion and even mass murder. They are still considered Catholics. There are many Moslems who act in complete opposition to their scriptures. No one considers them anything other than Moslem. Time and again evil Jews have been excommunicated by their elders and communities, but are still considered Jews because of their surnames. In all these cases the few evil Christians, Moslems or Jews should never be said to be proper representatives of their wider communities. It leads us nowhere, and only obscures the truth of the matter. Of course, we must still address the central paradox. Moral Jews can't be confused with conspiratorial and murderous Jews. Okay, but why do the latter exist, and why their devilish behavior and outlook? No writer or researcher provides consistent insight into this problem. Nevertheless, delving into the darker corners of Jewish history reveals the answer. As said above, the story of the Jewish hand in conspiracy is labyrinthine. It can, however, be traced back to Egypt's 18th dynasty and the reign of heretic king Akhenaton. Although most scholars admire and praise him as a proto-monotheist and sun worshiper, there is more to the story. He was actually a disciple of the dark side of the sun. He was a "Judite" and a "David" in the true original senses of the terms. As a monarch he was absolutely tyrannical. His sect suppressed every other priesthood and belief, and finally brought total ruin to the civilization of the Nile. His penchant for destruction was born from his desire for revenge against Egypt and its dominant Amenist priesthood. Akhenaton, and his parents were members of the Hyksos nobility (the so-called Shasu or Shepherd Kings) who colonized Egypt during the 13th dynasty. This group were hated by ordinary Egyptians who considered them invaders, tyrants and looters. In fact their ancestors had previously been expelled from the land. 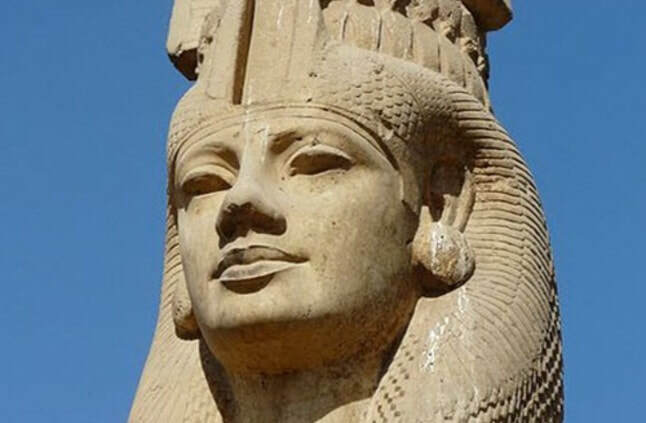 Akhenaton's family were among some Hyksos nobles permitted to remain in Egypt by the Amenists. Some of the more trusting Amenists probably believed these few families and individuals to be relatively moderate and harmless. The story of the conflict between Amenists and Atonists is told in my Irish Origins of Civilization books and website. Akhenaton's cult has been known as Atonist, after their tutelary deity Aton or Aten. This deity did not originate with Akhenaton, as we are often led to believe. More honest scholars suspect that Aton was a version of the Phoenician Adon or even the Nordic Donar or Odin. In academia an insidious machinery of lies and deception exists to disguise these fascinating connections. Experts who discerned the truth have been silenced, demoted and ridiculed. Unbiased scholars, however, know full well that the Phoenician Adon, Adonai, Don or Dion, etc, was worshiped throughout Mesopotamia and Palestine from the earliest times, long before the rise of the Jews. They also know that his other names were Set, Seth, Sith and Seb, etc. In the Old Testament the Atonist exiles are mentioned cryptically as the Israelites. This word has in turn been falsely considered synonymous with Jew and Hebrew. As I show, terms such as Israelite, Jew, Levite, Hebrew, David, Solomon, etc, were sacerdotal titles employed by Egyptian (Amenist) and Aryan members of the Stellar Cult to denote caste rather than race or personality. Terms of this kind (like the word Aryan itself) were later appropriated and deliberately misconstrued by mythmongers. As Ralph Ellis and other scholars conclusively show, the "Israelite" patriarchs Abraham, Isaac, Jacob, Judah and Joseph, etc, were high-born nobles and even pharaohs in the land of Egypt. This fact is concealed in Biblical descriptions, but there can be no doubt that the exile of the Israelites was that of a powerful but corrupt Egyptian dynasty. Whether these Israelites were identical with the Jews is an important question. Jews tell us they are related, but recent research doesn't confirm this. It may be that the term Jew has been appropriated by others who want their true identities concealed. By their own testimony the ten tribes of Israel eventually dispersed to the four corners of the globe, assimilating with Gentile nations the world over. There's little chance of proving descent from any one of the Israelite tribes. The best a few Jews are able to do is date their ancestry back to the 17th and 18 centuries. In any case, as I show in my books, after the great expulsion the descendants of the Atonists (or Biblical Israelites) set up a new imperial command center in Ireland, and from there set about colonizing the entire world in a supreme act of vengeance. They sought to dominate the world to replace the thrones lost to them in Egypt. 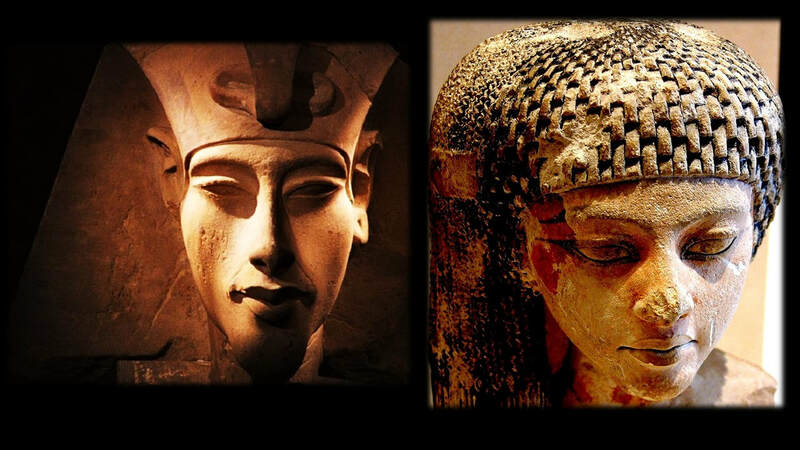 Despite the appellation Atonist, Akhenaton's special type of theology did not originate in his time, as duplicitous Egyptologists commonly report. It arose from the earlier worship of the ancient god Set. Much of the symbolism employed by the Sisterhood, and other secret societies under their control, features Setian as well as Atonist symbolism. Set was a deity associated with stars and constellations that had over time fallen below the horizon and were therefore hidden from view. He was especially associated with constellations situated around the southern pole. The Setian priesthood worshiped these lost stars. Later Masonic terms such as "the Lost Light" refer to this stellar phenomenon and zone. The inverted pentagram used by Masons and occult societies represents the southern pole star, the emblem of Set, god of the underworld. In the esoteric tradition of Egypt, Set and his followers (the Sheto, Sadites or Setians) were regarded as corrupt, hedonistic and amoral. The Setians were without Ma'at, that is without rectitude and honor. They did not better themselves by way of spiritual initiation, and lived entirely for the pursuit of worldly power and wealth. Spiritually awakened men and women - those who aligned themselves with the Supreme Being (Neberdjer) - were, to the Egyptians, those who had escaped the fetters of Set. Set is the basis for the Christian Satan. The word Satan means "opposer," the original meaning of which was astrological. Satan is considered the "Fallen One." Again this simply refers to the southern zone of the heavens and the stars that fall below the horizon into the so-called underworld of Amenta or Hades. Set was the equivalent of Kronos, Saturn, Ahriman and Apophis - lords of the underworld. It is possible that the worship of the planet Saturn is a degraded variant of Set worship. It is interesting that the Jewish Sabbath refers to Saturday or Saturn's Day. We still speak of waning stars and luminaries setting on the horizon, and use terms such as sabean when referring to astronomy and astrology. The Setians were later known as Atonists, and later still, in the scriptures, as Israelites and Judites, with the mysterious Levites being the supreme echelon ruling the rest. It is possible that Set was imported into Egypt and was not original to the land. He may originally have been a prehistoric horned stag god venerated by the ancient Scythians, who went by the names Saca or Scuts. The name Scythian may be a poor rendering of Shetian, Shethian or Sithian. Ancient annals report that the intrepid horse-back riding Scythians entered Egypt at an early date. The city of Scythopolis in Palestine is named after them. The name Isaac means "Man of the Saca" or "Wise Man." The Saxons were known throughout the globe as the wisest and noblest of men. In my opinion, the Setians were a knowledgeable but corrupt branch of this illustrious race. This is backed up by Scythian legend. The famous tribe of female bow- and sword-wielding Amazons were actually a branch of the Scythian race. Certain traditions of Egypt may actually derive from the Scythians and their pantheon. Sadly, because the Scythians originally came from western Europe, you won't hear much about their presence and influence in the Levant, Egypt and further afield. In many ways the Scythian warriors of prehistory were similar to the later Knights Templar. Eventually, at the end of the 17th dynasty the Setians (the Hyksos nobility) were overthrown and expelled by Pharaoh Ahmose I (1539-1514 BC). This event was the first of two great exoduses, both conflated by mythographers and recorded in the Old Testament book of the same name. To the mythographers the expulsions were construed as a fall from power of epic proportions. This accounts for why in Masonry we see strange symbols such as skulls, coffins, fallen crowns, broken columns and buildings, missing capstones, blind or wounded kings and prophets, plagues, wilderness sojourns, exiles, and so on. To this day, Masonic third degree rituals preserve the Atonist-Amenist conflict in symbolic form, replaying the murder of a monarch by three assassins, themselves condemned and brutally punished. In modern courts, when a judge bangs his gavel three times, it also recalls this heinous ancient crime. Suggestively, in Masonic lore the three assassins are known collectively as Jewes or Juwes. Does this mean that the moniker for the murderers of royalty later came to denote an entire race? It would be more than ominous. The second exile of the Setians occurred at the end of the reign of Akhenaton. Pharaoh Heremheb gave them their marching orders, and when they attempted to return yet again, Pharaohs Seti II and Merenptah rode their chariots over them, forcing them from the land. The Atonists were never to return. They retreated to Lower Egypt, to the Giza Plateau, city of Tanis, and cities beyond the borders of Egypt where they were welcomed by wealthy descendants of the first mass of exiles banished by Pharaoh Ahmose at the end of the 17th dynasty. Both exiled groups harbored immense hatred for the native Egyptians and the Amenists who expelled them. After the second exodus a vitally important change occurred. Set was made over and given a public face. The deity was presented to the horde under the pseudonym Jehovah or Yahweh. Genesis and the following few books in the Old Testament tell us the story of this makeover in garbled and cryptic manner. The name Yahweh was probably appropriated from an earlier Canaanite (Aryan) tribal deity who might originally have been worshiped in female form under the name Jahl or Jael. This accounts for why, when Yahweh originally appeared to Abraham, the patriarch set up his altar to his god beside and oak tree at Shechem (see Genesis 12:6-7). Suggestively, research reveals that Set appears in female form as Apophis or Apep, the great serpentine deity of the underworld (southern hemisphere). In some traditions Set and Apep are consorts. The last Set-worshiping Hyksos king was called Apophis. His description supports the controversial idea that the Hyksos were originally Scythians, or at least at corrupt renegade branch related to them. The superior group of Atonist-Setians went on to form the Levites and later still the Gaonim or Princes of Light. Their colleges and institutions are a branch of the Order of Melchizedek (a pseudonym for Akhenaton). This order later entered the west under the appellation Freemason (from Phre Massen or "Brother of the Sun"). It is this ancient Atonist-Setian group that control the world's many secret societies. I'll explain their connection to the Knights Templar as we go. 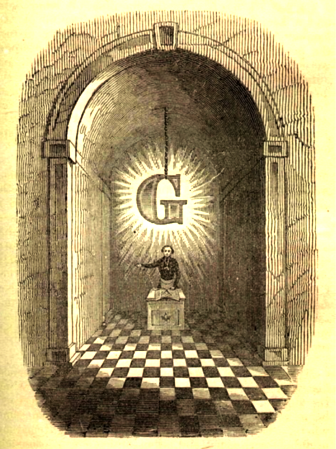 The enigmatic Masonic insignia "G" stands for the Gaonim who later disguised their order under the name Freemason. The Gaonim were made up of elite "Judites" (Setian-Atonists) who moved to Babylon from Egypt after their exile. They appear in the Bible as the Pharisees and Sadducees. I believe that high level Sadducees, in particular, worshiped female deities such as Asherah (Ashtoreth/Astarte/Ishtar). In any case, while in Babylon they absorbed many of the occult traditions of the Chaldeans, Persians and Greeks. The Sadducees were falsely said to have ceased to exist after the Romans decimated Jerusalem in AD 70. However they simply went underground and as the Gaonim (and later Sabbateans and Masons) aligned with the Order of Sion and Knights Templar. As shown in Article I, the Gaonim may have gone on to establish the Rosicrucians and later the religion of Protestantism. The motto "New Order of the World," inscribed below the pyramid on the US one dollar bill, refers to the restoration of the lost empire of the Atonist-Setians. By hook or by crook they intend winning their revenge. The detached capstone alludes to the fact that the elite worship different gods than the masses they control. It has been this way for millennia. Aton was primarily a privately worshiped deity, as was Set, Amen Ra, etc. The masses were contented with their hybrid public gods that suited their level of understanding. (This explains why we are told that Jehovah was not recognized either by Moses or the Israelites. This is most revealing. After all, this was supposed to be the God of Abraham. How could he be a mystery to Moses and the whole horde of "slaves" in Egypt? Which god had they been praying to throughout their years as slaves? See Exodus 3:13). The Setians realized at some point that light - and the gods of light - can be used to blind the masses. Hence the dark side of solar worship favored by Akhenaton and crew. The Luciferian carries on his private worship behind a curtain of light, as it were, achieving a great deal by doing so. As the symbolism reveals, nothing has changed. The bedazzling continues unabated without a single person being aware of it or any other teacher addressing it. The notorious Apiru or Hapiru (the expelled Hyksos) were widely known as lepers, thieves and vagabonds. In short, the Hyksos and Atonist-Setians are not to be confused with the ancient Ibaru or Arya. These members of the ancient Stellar Cult designed the pyramids, tutored and advised pharaohs, kings and nobles, and were the world's true aristocracy - the Servants of Truth. Informed Masonic authors tell us what the infamous hexagram means for them. The upward triangle symbolizes the mountain of the gods, the downward triangle is the sign of the priesthood which transmits the will of the gods (or Els) to the world. Hence the Jews assign themselves the six-pointed star as an insignia to indicate their special theocratic status. The Jews as we know them are the inheritors of archaic occult traditions. The more obvious motifs and tropes of their religion serve as wardrobe concealing ancient traditions preserved and understood by the highest cadre within Judaism and Freemasonry. After a lifelong study one becomes aware of these secret traditions and their meaning, and how all religious motifs were appropriated and cannibalized by later parties. 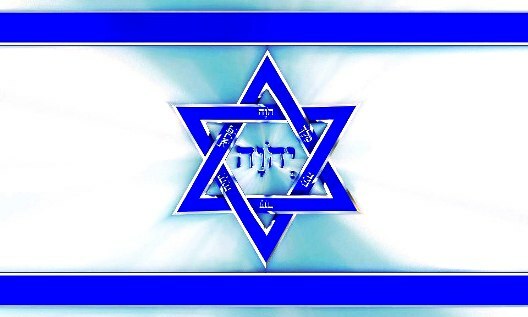 The Star of David has little to do with orthodox Jews and Israel. It was adopted as a Jewish emblem in recent times but is actually a part of the esoteric archive, symbolizing Masonic (or Atonist) factions and hearkening back to the cults of ancient Egypt and periods even more remote. The two interlocking triangles not only symbolize the relationship between Els and their Priesthood, but on a secondary level the rivalry between the cults, typified by the conflict between the gods of light (Horus) and darkness (Set). The flag of Ulster (Northern Ireland) features the red hand, Star of David and Templar Cross. That would seem rather contradictory until one is clued in to the esoteric reasons for the symbolism. The red hand is actually the personal symbol of the great Atonist king Aya, who briefly ruled Egypt after the time of Akhenaton by pretending to have converted back to Amenism. The star around the hand signifies the Davids, plural. It was a title used by Atonist commanders. My studies into occult symbolism began in Ulster in the early '80s after observing the welter of peculiar and distinctive Masonic symbols around me. At the time I had no idea the symbolism derived from ancient Egypt, and that the high chieftains of Ireland claimed themselves kin of the pharaohs. Heraldry holds the key. The golden solar lion represents the world's nobility, originally the Atonist-Setians of ancient Egypt, descendants of Pharaoh Akhenaton; whereas the white lunar unicorn represents their devoted servants - the Gaonim, Levites, Rosicrucians, Masons, Templars, etc. Note the chain of servitude and obedience around the neck of the unicorn. Suggestively, one of the Pope's titles is Servant of the Servants of God. The very word Vicar (as in Vicars of Christ) means "stand in." The royals of Britain describe themselves as Servants and Maintainers of the crown. Prince Charles' personal heraldic motto is "I Serve." The name Stuart (as in the Masonic Stuart dynasty) means Steward. Again the emphasis is serving a higher more elusive power. We'll see how this master-deputy relationship served the Templars as we go. Note the blue belt or garter surrounding the shield. This is a seminal female symbol representing all knightly or chivalric orders. The Fleur-de-lis on the belt and crown (representing occult gynocracy) also alludes to this overseeing female branch, which under the name "Order of Sion," isn't supposed to exist. A close study of secret societies shows that at the top level of the architecture of control there are no "Jews" or "Jesuits." The supreme Setian-Atonist cabal divide their deputized legions into two or more factions, as many as are required for the geopolitical and psychological great game of divide and rule to proceed and succeed. Jew or Christian, Protestant or Catholic, Capitalist or Communist, Republican or Democrat, Conservative or Labor, Right Wing or Left Wing - it is primarily a case of Opposames working toward a common objective. It is vital that seasoned researchers realize and confirm this fact. To understand the history of our world is to understand the origin of destructiveness. Chaos and social upheaval occur by design. The origin of sociopolitical havoc can be traced, as we see here, to the reign of Akhenaton and his ancestors. The Setians are destroyers through and through. Destruction is their hallmark and footprint. We need to recognize it historically and prehistorically. Once we correctly identify the true agents and fomenters of world chaos, we cease placing the blame where it does not belong. One thread in the greater story of the Setians and Gaonim leads us to the 17th century and the appearance of renegade Jews posing as reformists and messiahs. Sabbatai Zevi was the leader of a Luciferian sect which originally hid itself behind the veil of Judaism. After Zevi himself was arrested and brought before Sultan Mehmed IV, he saved his miserable life by converting to Islam. This fact is mentioned by most writers on Zevi. Zevi's successor was the infamous Jacob Frank. After he died, the Sabbateans were led by Eve Frank, his daughter. After her time, we believe the Sabbatean-Frankists have been continually led by females. The secret society symbolism that abounds leaves us in little doubt of this. It is this female-led order which is served by lower groups such as the Bavarian Illuminati, Rosicrucians and Masons. The dates of Eve's reign correspond with the rise of the Illuminati. Her order is also associated with the Templars who recognize and support it. More on this as we go. 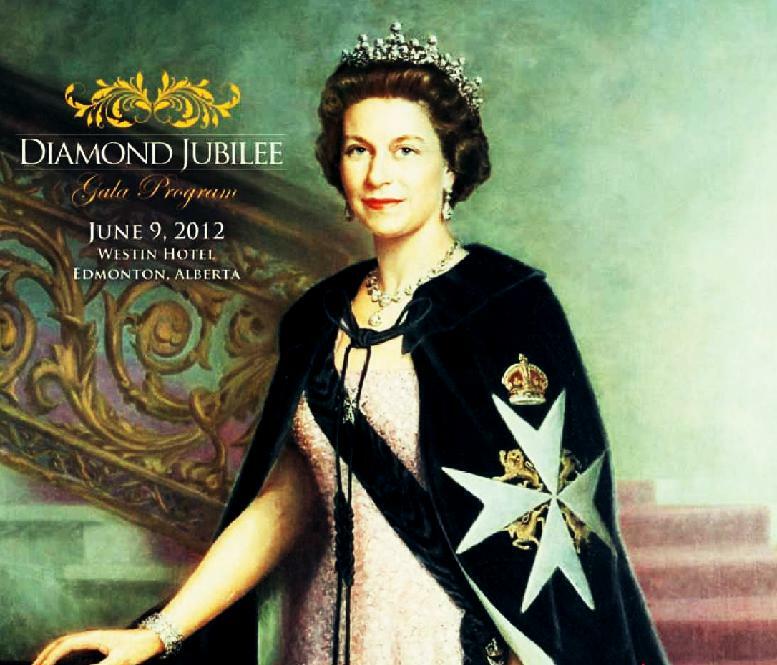 As I show in the program, Illuminati symbolism is primarily female. Kabalistic symbolism also abounds, because Sabbatai Zevi's bizarre teachings were a corruption of the philosophy of Isaac Luria and other sincere Kabalists. Although the Kabala is originally an esoteric doctrine of the high Arya, it had already been corrupted before Zevi's time by the Atonist-Setians. Zevi's school was, in my opinion, nothing more than a tentacle of the occult hydra established by the Order of Melchizedek (Akhenaton), and directed after his time by his daughter Meritaten (Scota). The Masonic Scottish Rite, for example, doesn't refer to the country, as we might think, but to the lady of that name. Scottish Rite is Scota's Rite. In any case, despite the symbolism, the female leadership of the Sabbatean-Illuminati has never been broached by researchers and writers interested in these controversial subjects. This explains why celebrities such as Madonna (initiated under the name Esther) appear in public espousing their interest in Judaism and Kabala. Their insider-smiles reveal the game they play with us. Celebrities of this degenerate kind, as well as many female politicians and business executives, are members of the Sabbatean sect or one of its branches. They often symbolically flaunt themselves in the guise of Eve Frank and other illustrious female predecessors - initiates of the super-secret Dragon Court. Eve was referred to by her disciples as The Shekinah. The true meaning of this term is explained in my Female Illuminati program. At this point we need only remind readers of how repulsive and heretical this attribution of the sacred Shekinah to any single personality is to moral orthodox Jews. Again, we are dealing with a cult expert at misconstruing Kabalistic philosophy as conceived and taught by true mystics such as Isaac Luria. Interestingly, in 1759 (after Jacob Frank found himself hounded by the authorities) he converted to Catholicism and received the assistance of the Church. Thousands of his followers, most of them servants of evil, followed his lead and also became Catholics. 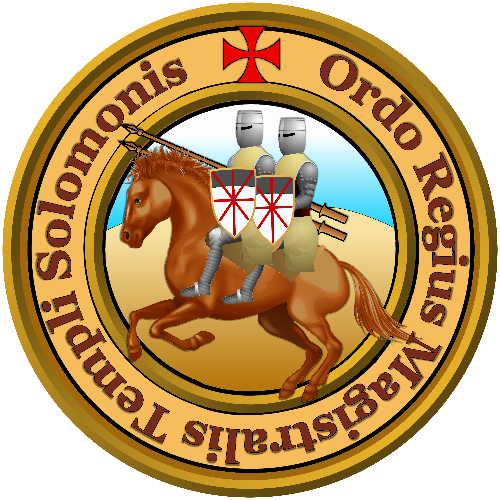 It was these pseudo-Catholics who thereafter secretly served the Templars, clerics and related orders, protecting their members and finally restoring their sovereignty, tax-exempt status and other privileges. 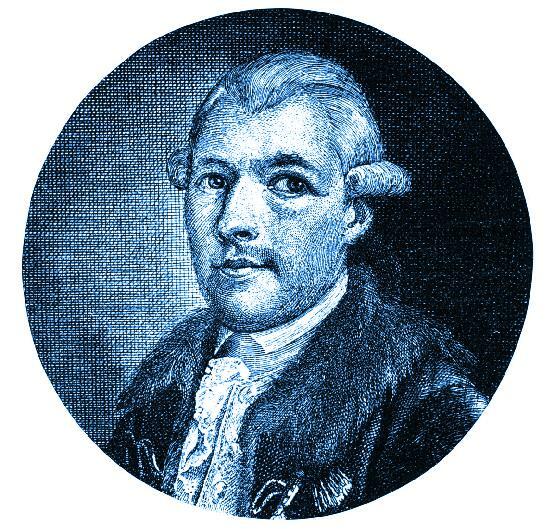 After being unseated from their original domain, Jacob Frank and his daughter first found refuge in Catholic Austria, but eventually settled in Hesse, Germany. Eve Frank died in 1816. Author and researcher Chuck Morse is convinced that senior members of the American political world, such as Judge Louis Brandeis, were initiates of her order. Sinister European subversives - such as the notorious Moses Hess (mentor of Karl Marx) - and Marx himself were also members of this Frankist cabal. The city of Lyon in France was most likely chosen as the headquarters of the Frankists, but undoubtedly they had major lodges elsewhere, particularly in Switzerland, Belgium and Austria. Most Masonic lodges and centers throughout the world feature pentagrams and other female symbols. Like the crescent, the pentagram signifies the planet Venus, known in esoteric circles as "Lucifer" and also as "Shekinah." In previous articles we saw how significant and pervasive was and is the power of the Knights Templar, one of the main orgs controlled by the Atonist-Setians of old. 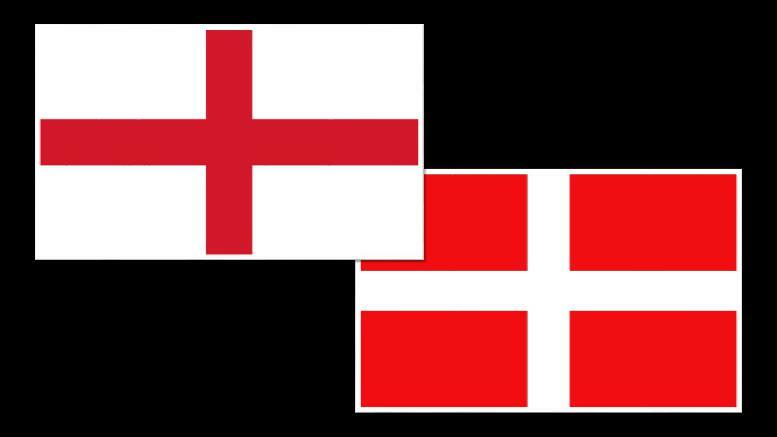 We also noted the major and minor rivalries that ensued between the Templars and other groups (the papacy, nobility, Order of Sion and Knights Hospitaller, etc). We saw that the Templars were aligned with Eastern sects and cults, and that they were the world's first bankers and money-lenders. We saw that a Jewish community was always to be found in close proximity to a prominent Templar town or province, and that Jews were protected and even favored by Templar elites. I also explained the manner in which the Templars survived attacks upon them from the Papacy and European nobility, continuing to attain greater power through the centuries after their supposed demise. This was achieved, as said, by their largely anonymous bureaucratic clerics who demographically outnumbered the actual knights, probably about twenty to one. They constitute an entire sub-order of the Templar network and it was they who, after the purges of the fourteenth century, preserved the secret of the locations of the Templar treasure horde and of the identity and whereabouts of their surviving superiors. This widespread sub-order of clerics is rarely dealt with by most writers on the Templars. They have, however, worked to change history. The world we daily experience is a world of their making. Masonic authors Robert Lomas and Christopher Knight believe Hugh de Payens and his Templar knights discovered ancient scrolls beneath the ruins of their HQ in Jerusalem, site of the original Temple of Solomon. These documents had been secreted there by the Essenes, allegedly the authors of the Dead Sea Scrolls. Apparently the scrolls spoke of Jesus and James as messianic, but non-divine, leaders of the sect and vehement opponents of the Romans and Jerusalem Church. They had been members of the Jewish sect known as Essenes, which also had John the Baptist, the cousin of Jesus, as a leader. The Essenes had, however, been infiltrated by Saul (St. Paul) who subverted and repackaged the authentic version of Christianity into the solarized form it became under direction of the emperors and bishops of Rome. To the Templars this was a profound and disturbing discovery. Thereafter they saw themselves as inheritors of the true Christianity as espoused by the persecuted Essenes. Lomas and Knight believe it was due to the content of these scrolls that the papacy brought the hammer down on the Templars. Without going into all the details, I simply ask, if the Templar leaders were illiterate, unable to read or write, who translated and read these scrolls for them? It had to be their highly erudite clerics. Obviously, it was the clerics who found themselves benefited by these and other revelations. They had the power to dislodge and destroy the official Church, or to blackmail the prelates, bishops, cardinals and popes, to secure themselves. Well, as we saw, evil Jews such as Sabbatai Zevi and Jacob Frank found it expedient to convert to Islam and Catholicism. Their numerous disciples took the cue and followed suit, converting en masse to these same religions. This was done disingenuously, as a means to sinister ends. Instead of being hunted, arrested and constantly thwarted, they could act incognito. Warnings went out from rabbis and elders of the Jewish communities to look out for such infiltrators and fifth-columnists, and as some informed Jewish researchers state, the first enemy of the Luciferian Jew was Judaism itself. Long before such subterranean groups were known to Christians and Gentiles, Jewish leaders warned of their presence in their own communities and realized that these subversive individuals and underground organizations sought the downfall of Judaism and other religions. These facts are never conceded or mentioned by the majority of anti-Semitic writers obsessed with exposing the "Jewish Conspiracy." A great deal of their work, for all its merits, must be amended. This leads us back to the year 1314 and the official persecution of the head Templars and the universal suppression of their infamous order. Despite the mayhem, the clerics were not arrested or penalized. They kept the secrets of the various locations of the Templar wealth (not revealed to this day) and the identity of their exiled leaders. Those Templar leaders who fled and went underground were completely dependent on their servants to see to their needs. And indeed the clerics remained loyal. This is the reason why the Templars have remained in control of world affairs until today. In the late 14th century, after the suppression of the Templars, it is my belief that the clerics chose to convert to Judaism in order to survive and continue their clandestine enterprises. In other words, Judaism has served as one of their best disguises. Hence the secret confederation of "Jews" and Templars. More importantly, the clerics gravitated to the non-orthodox sinister sects secreted behind the cloak of Judaism - namely the Gaonim and Sabbateans. Birds of a feather flock together, as the saying goes. Given these statements, we are able to detect a few of the subversive activities carried out by the clerics on behalf of their masters. Some of their agents have acted in ways that have changed the fate of the world. After all, who were the Bolsheviks who assassinated Tzar Nicholas and his family in Russia? Who were the Amsterdam Jews who financed the takeover of Britain by the Dutch House of Orange? Who are the notorious Rothschilds? Is not suffice to proclaim them "Jews." Do we do so even when such as these do the proclaiming? Would we now not be on our guard, and at least entrain doubt? Might we not return saying "Crypto-Jew deceive us no longer!" If I am correct, we find ourselves able to re-examine the career of someone like Benjamin Disraeli, allegedly the first Jewish prime-minister of Great Britain. Favorite of the British royal family, treated like a beloved son by Queen Victoria herself, a man who proudly and vocally declared his connection to the patriarchs of Israel, what was he actually? Are we to believe that as an authentic Jew he could ever have found himself under his own steam ascending to such high office? I don't think so. Not for a second. But as a crypto-Jewish cleric, from a family of clerics, with secret Templar backing, might he not ascend and become prime-minister of the greatest empire on earth? 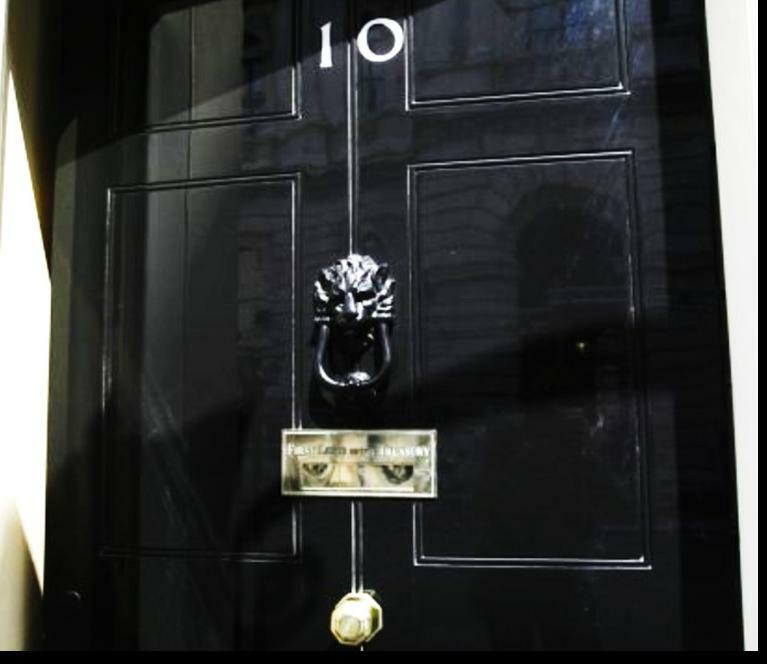 Benjamin Disraeli was Britain's first Jewish prime-minister. He held the position between February and December of 1868. He openly wrote and spoke about the international presence of exceptionally powerful secret societies and drew attention to their Jewish membership. A strange bird and a strange tactic to be so candid, until the penny drops and the reasons stands clear. London is another major bastion of Templar power. 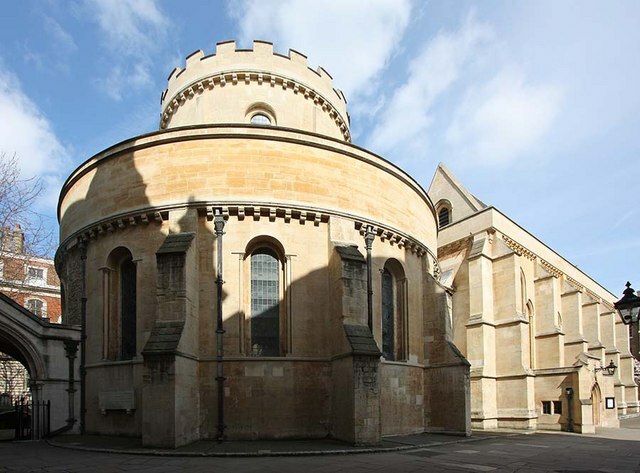 The entire world is controlled from the city of London, and in the center of the city stands Temple Church, English headquarters of the Knights Templar. It's just a coincidence, nothing to worry about. Although the clerics adopted the convenient cover of Judaism, they have seen to it that ordinary religious Jews come to harm time and again. Hence the many atrocities perpetrated against Jews by this or that gang, government or state. The rise of radical Islam is the latest orchestrated danger, not only to moral religious Jews, but the entire western world. The clerics harbor enormous hatred for orthodox Christians and Jews. Betrayed and persecuted by the former, and dependent on the latter for cover, the relationship with both groups is purely expedient, pragmatic and one-sided. The clerics get a major thrill when hurt and harm befall Christians and Jews. Indeed, with their agents ensconced within both groups, the conniving clerics see to it that both sides frequently experience conflict, animosity and accusation. 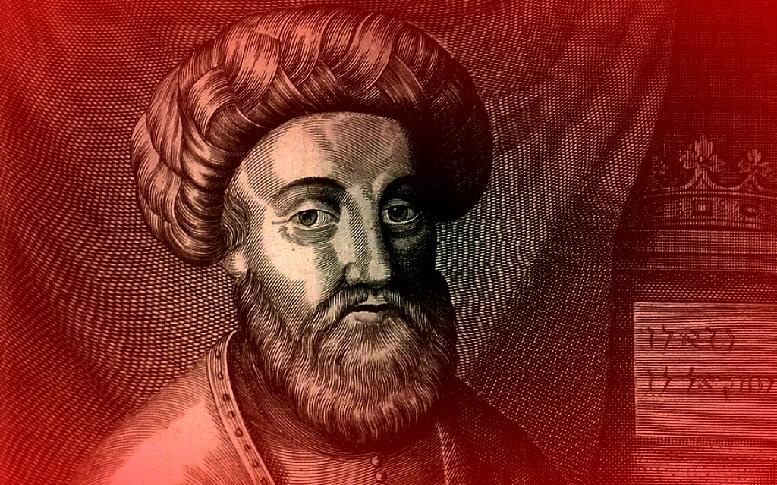 So when we speak of the conspiratorial machinations of Moses Hess, Karl Marx, Alexander Parvus, Talaat Pasha, Moses Mendelssohn or the Rothschilds, etc, we now understand that these "Jews" are in fact nothing less than Templar-Sabbateans. Remember that the Rothschilds are keepers of the Vatican's treasury and senior members of the Knights of Malta, the order that morphed out of the original Templars. Clearly stated, members of these "Jewish" families are imposters. 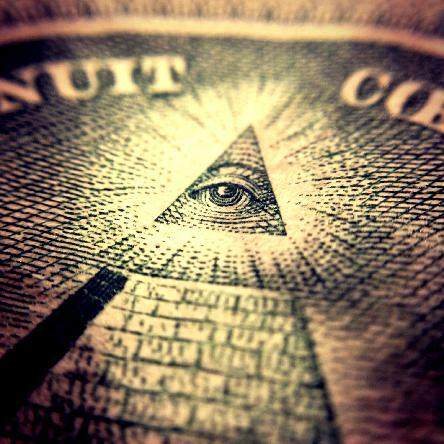 They are crypto-Templars whose senior members went on to establish both the Jesuits and the Illuminati. To recap the essential points: the Domneh were Jews who converted, for whatever reason, to Islam. 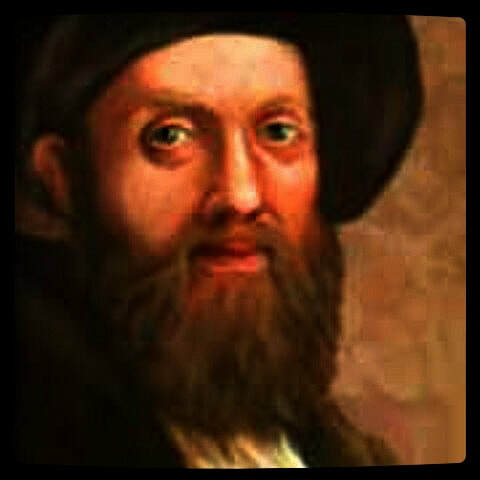 A Marrano was a Jew who, often under penalty of expulsion or death, converted to Christianity. This is well known and accepted by historians and academics. But the conversion of Templars to Judaism, after the suppression of their order in the fourteenth century, is a story that hasn't been widely publicized. We must conclude from these statements that it is quite wrong to implicate ordinary religious Jews for the sociopolitical machinations and atrocities of the Templars and their agents using Judaism as a cover. This is not to exonerate the improprieties of individual Jews in business, banking and politics. It is not to exonerate the rants of certain extremist Jews about their racial and theological superiority, or any other bigoted protestations. We simply remember that bluster and criminality is universal and that Gentiles are just as a capable of making obnoxious nuisances of themselves as Jews sometimes do. I am also certainly not exonerating occult Jews whose allegiance lay with ancient secret orders, be they Atonists, Setians, Gaonim, Frankists, Illuminists, Jesuits, Papists or Communists. When accusing immoral and criminal groups and individuals, we do so realizing that they come from both Jewish and Gentile backgrounds and that in many cases they have transcended familiar religious and sociopolitical divisions and allegiances. In short, figuratively speaking, wolves hunt best and do well wearing sheep's clothing. It's a principle well known to and exploited by sorcerers. If any conspiratorial group lasts long enough to undermine western civilization it will be one expert in adopting camouflage to thereby conceal its vile acts of confiscation, extortion and subversion.